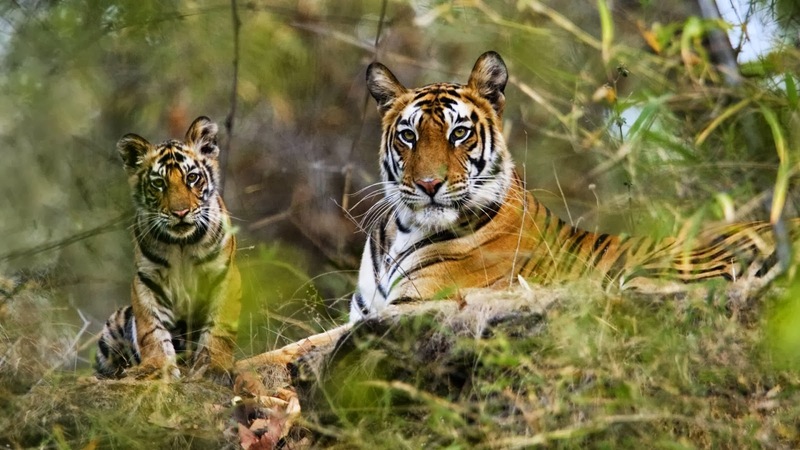 Backpack Holidays offers a 2 Nights and 3 Days stay in Bandhavgarh. The itinerary is meticulously designed to give our guests the most exhilarating wildlife experience. Our expert team of naturalist and drivers will guide your way through the Sal forest making sure that you have an experience of a life time. The itinerary includes accommodation in a very hospitable 4 star amenities Resort, and plush mud cottages having a private deck overlooking the water-front, sumptuous meals, 3 Jungle Safaris with experts and surface transfers. As the train arrives in Jabalpur by 6:00 AM, we drive down to Bandhavgarh (160 kms ~ 3hrs). Breakfast en-routed. Upon arrival in Bandhavgarh we transfer to the very hospitable Tiger Lagoon Resort. After freshening up, sumptuous lunch. Post lunch we leave for a nature trail. On return, informative slide show/documentary on Tiger behavior. Dinner and Overnight stay at the resort. The bliss continues as we leave for an early morning Jungle Safari. Upon return to the resort, breakfast will be served. After freshening up, relaxation and lunch we leave for the evening jungle safari. Cultural Show performed by the local artist. Dinner & Campfire mark the end of the day. Depart for an early morning Jungle Safari. Upon return to the resort, breakfast is served. After freshening up, relaxation and lunch. Departure to Jabalpur and leave for Mumbai via Garibrath Train No. 12187 by 7:30 PM.